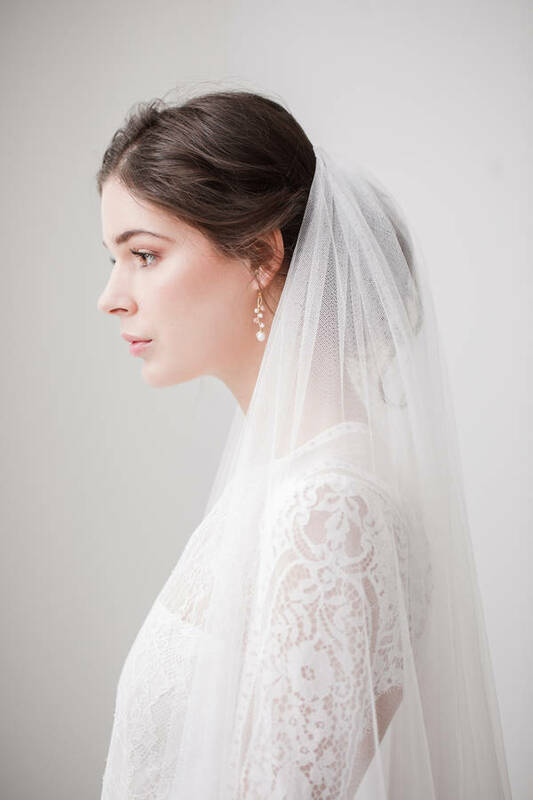 'Isabella' is a beautiful hand crafted wedding veil with cut edge. 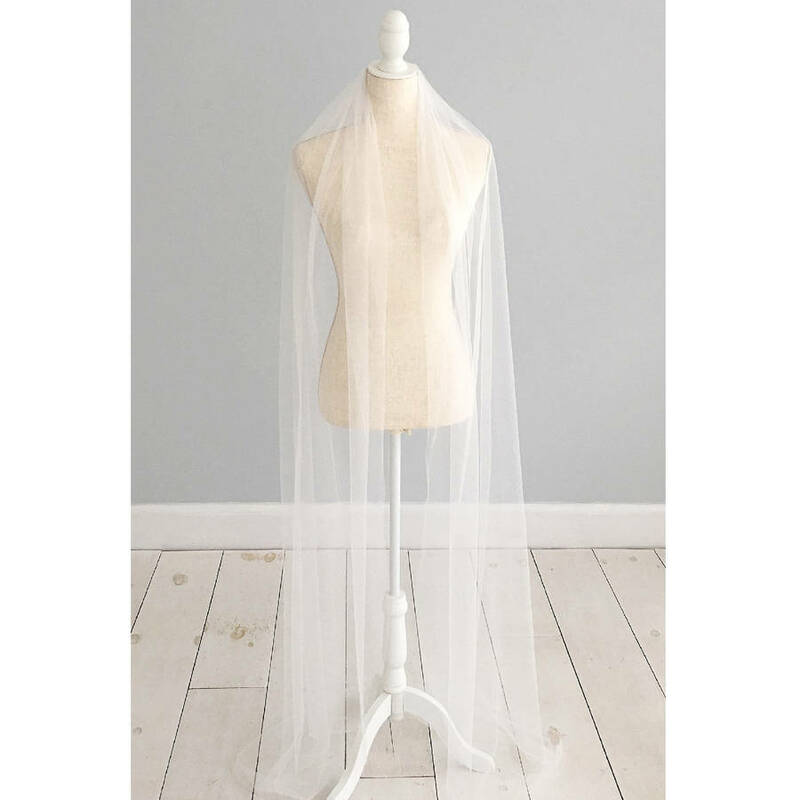 Isabella is made from our silk style tulle which drapes and handles like silk. 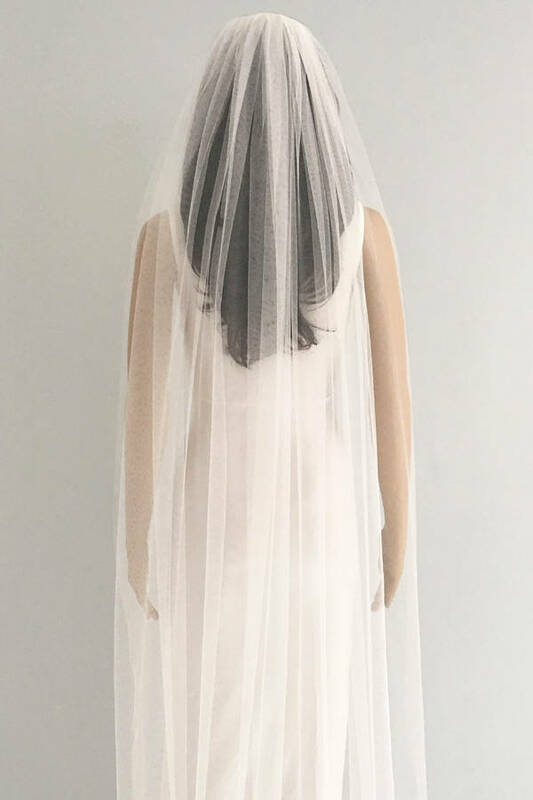 Isabella can either be worn at the crown of the head (as in the images) with the tulle draping over the shoulders or slightly further down so that the tulle drops straight to the ground. 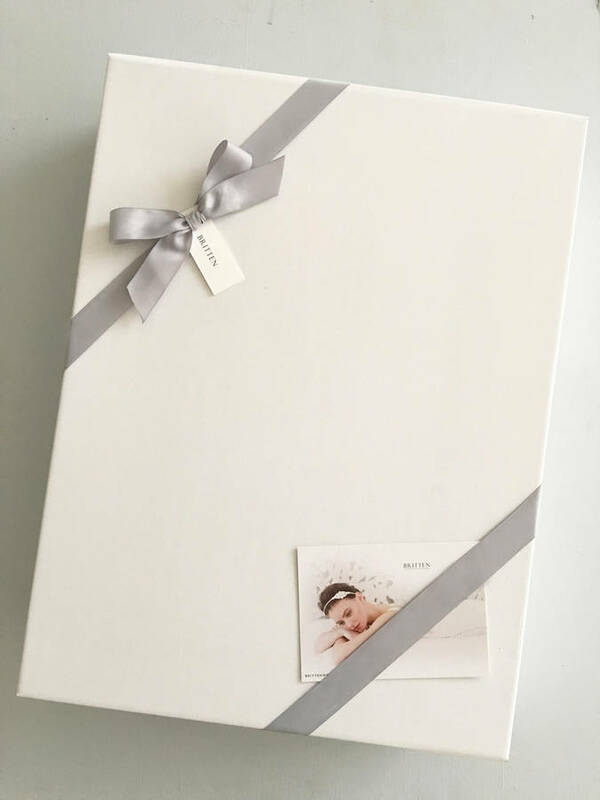 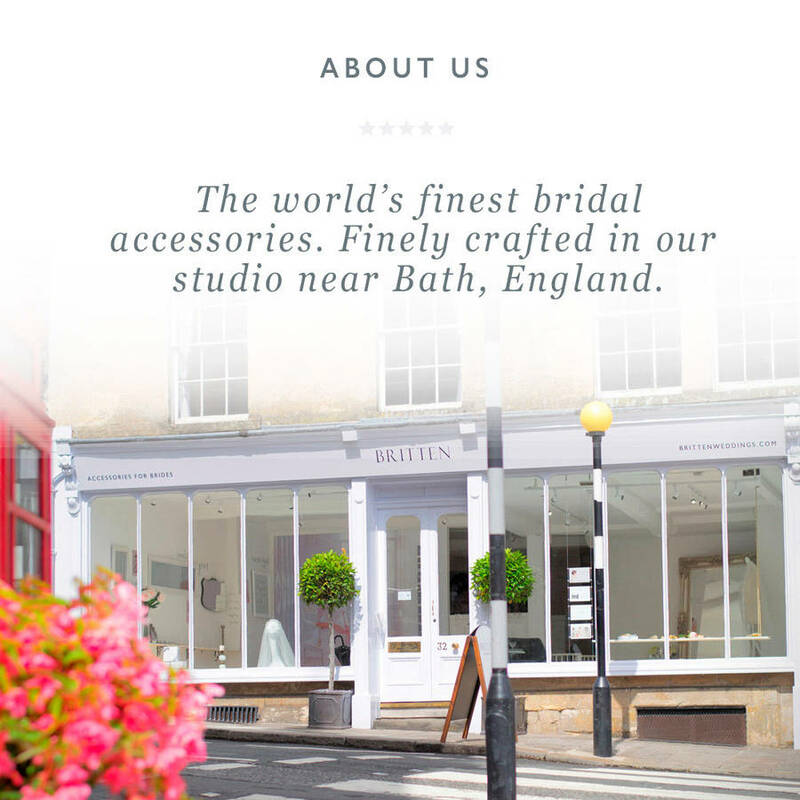 The main three colours we offer are ivory, off white and white. Our ivory is a warm colour with a slight creaminess, off white is a very pale ivory/ soft white and white is an optic white. 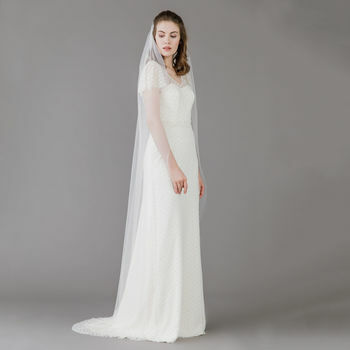 The tulle colour does not need to match your dress exactly they just need to tone in well together.